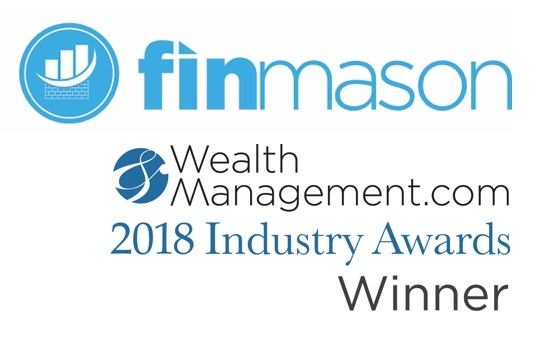 BOSTON, September 19, 2018	(Newswire.com) - FinMason, one of the world's largest investment analytics as a service companies, has been named best compliance technology solution at the 2018 Wealth Management Industry awards. The growing fintech firm was recognized for their FinRiver for Salesforce offering that allows users to seamlessly map robust investment analytics into any field in Salesforce™. The award was presented at a black-tie gala in New York City on Sept. 13. A record number of nominations were submitted this year — more than 600 entries were received from nearly 250 companies. "It is a tremendous honor to be recognized by such a highly regarded group of industry peers," said Kendrick Wakeman, founder and CEO of FinMason. "Compliance is one of the most important areas of wealth management and we are pleased to be partnered with Salesforce in producing an elegant solution to a complex problem." FinRiver for Salesforce turbocharges Salesforce with more than 700 different investment analytics on every publicly traded asset in the world. With FinMason analytics inside of Salesforce, users can utilize Salesforce's powerful custom workflows and triggers to run automated, nightly screens and filters on every client portfolio in their organization, testing for suitability, percent success or any number of potential portfolio issues. These workflows can automatically alert the advisor and compliance, and even auto-escalate the issue if it is not cleared in a certain amount of time. "The app radically transforms the way a financial services firm can think about Salesforce," Wakeman continued. "It turns Salesforce from a CRM into one of the most powerful and proactive compliance screening tools in the marketplace. It is an excellent example of how FinMason can power new functionalities inside of existing platforms." The announcement follows on the heels of the launch of The Five Minute Financial Plan™, a financial planning tool powered by FinMason directly inside the Orion Advisor Services platform. FinMason is one of the world's largest investment analytics engines for financial services platforms. The Boston-based financial technology firm provides access to more than 700 calculations on every publicly traded asset in the world delivered through one simple API. Developed by FinMason's team of seasoned data practitioners and nine Ph.D.s, the cutting-edge platform delivers institutional-grade analytics in milliseconds via two core products: FinRiver™ - a lightning-fast API that delivers any analytics anywhere in a financial services firm's platform with just a few keystrokes; and, FinScope™ - a bulk processing platform that can analyze millions of portfolios every night for compliance screening and performance attribution. For more information, visit www.FinMason.com and follow FinMason on Twitter, LinkedIn and Facebook.